DMAA (also known as geranamine, methylhexanamine, dimethylamylamine, 1,3-dimethylamylamine) is a natural CNS stimulant that was first synthesized and patented in 1944 by pharmaceutical company Eli Lilly. The substance was originally patented as a nasal decongestant. Geranamine is increasingly used as main ingredient in energizer, fitness supplements and weight-loss products. The stimulant effects of geranamine on the central nervous system (CNS) are said to be less than amphetamine and ephedra. Effects are dose-dependent and include euphoria, elevated mood, intense energy, adrenaline rush, mental clarity and increased confidence. The chemical structure shows resemblances to that of amphetamines and ephedrine. The name ‘Geranamine’ is actually a trademark name, registered by Proviant Technologies. 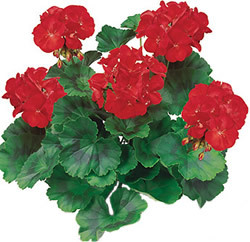 DMAA is a naturally-occurring constituute of the geranium plant (Pelargonium graveolens). However, this is less than 1%, and most DMAA on the market is produced synthetically. Geranamine is currently legal in most countries. Because the compound is a natural constituent of geraniums and is unscheduled it can be sold as a dietary supplement under current FDA laws. In 2010, the World Anti-Doping Agency (WADA) added geranamine to the list of banned performance enhancing substances. Is Geranamine legal in Singapore? Why has it been banned in some countries? So with the WADA adding this substance into the list of banned performance enhancing substances is it illegal to take while in the armed forces? Could i get a drug test back saying i was taking and illegal substance when all i was doing was taking a pre-workout formula? I know that the Navy banned JACK3D because it makes people test positive for drugs, im not sure about any other branch, but they took it out of the NEX along with a few other things for the similar reason. The Department of Defense has put a ban on DMAA. DMAA is a great stimulant for working out with little “crash” when coming off. it elevates the mind, gives a feeling of well being, open the sinus`s, soon the U.S. government will be adding this to the banned list. after all, the government does`nt need anything competing with thier cocain sales. controlling drugs is not controlling a substanse, its controlling peoples feelings. i love my country but i fear my government. I know that the Navy banned JACK3D because it makes people test positive for drugs, im not sure about any other branch, but they took it out of the NEX along with a few other things for the similar reason. can anyone tell me how long dmaa will stay in your system for? lets say I took one serve of thermojet pre workout, can anyone tell me if it will be clear of the system pretty quick? The physique then goes into starvation mode and you start losing muscle as well as fat. do not have the capacity to expand like just before, thus impeding them from eating more.